If you’ve had a good year, you deserve a congratulatory glass of champagne and a pat on the back! 2015 was a great year for many small businesses and entrepreneurs, which, unfortunately, does mean that you may owe more to Uncle Sam than you had anticipated. Here are some year-end moves to make now that can ensure your adjusted gross income (AGI), and therefore your tax bill, is as low as legally permitted. 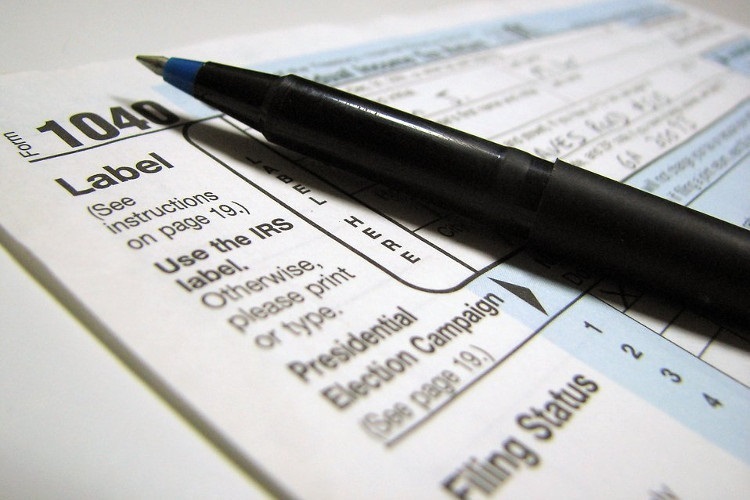 Your tax return – avoid penalties. If you are just starting as a business owner, you may not know exactly how much you will owe, but you are supposed to be paying estimated quarterly taxes based on your income expectations. By December 31st, make sure that you pay at least 90% of what you expect to owe for 2015, or at least 100% of the taxes that you owed in 2014. As long as you meet those criteria, you cannot be penalized for under-paying throughout the year. Income – minimize it. Self-employed contractors and small businesses have a lot more flexibility over when they receive their income than do people who get a regular paycheck from their employer. If you can afford to wait, defer invoicing your customers and clients for December activity until after January 1st. This reduces the amount of income that you report for this year, and the amount that you will be taxed. (Of course, it does simply push the tax burden until next year, but that is what deferment means—putting something off until later. Salary – take it. If your business is structured as an S-corporation, the IRS rules permit you to pay yourself a “reasonable” salary, on which you will have to pay taxes as ordinary earned-income. However, you can withdraw additional money from the profits of your business as “dividends” and pay the much-lower tax rate that is allowed for investments. Deductible business expenses – maximize them. If you have the ability to pre-pay expenses that can be deducted from your business income, then do so! Buy that computer equipment, lease a vehicle, prepay your advertising expenses for the first quarter of next year, give your employees their year-end bonus before December 31st. Anything that you intend to buy in the first quarter of 2016, you can pull forward to now and deduct it from this year’s profits instead of next year’s. Your home – make it work. Prepay your January mortgage payment in order to deduct an extra month of interest, and prepay your property taxes so that they are deductible, too. (Of course, this only helps if you itemize your deductions on your personal income tax return.) Other personal expenses that can be deducted include medical costs and childcare expenses. If you can prepay any of those that will be due in January, that will reduce your income further. Retirement accounts – max them out. Regularly-employed people can contribute to a 401(k) plan through their employer and/or participate in an IRA (traditional tax-deductible or Roth), but small business owners can have have SEPs (Simplified Employee Pension) and solo 401(k)s and SIMPLE IRAs. These offer the opportunity to shelter far more of your income from taxes than their “normal” counterparts. Taxable portfolio – evaluate it. If you have harvested taxable gains during the year, try to sell losing positions so you can offset those gains. You can even use an additional $3,000 of losses to offset the tax due on ordinary income, so stop holding onto those positions that are underwater and likely to not return to profitability. Gifting – do it wisely. You can gift up to $14,000 per person ($28,000 per person for a married couple that files a joint return) every year with no tax consequences, to as many people as you would like. If your estate has grown to an amount that will be taxable (over $5.43 million per person), then you want to reduce it to below that threshold, and gifting to your heirs is a good way to accomplish that. Funding college for children or grandchildren – do it carefully. You are permitted to transfer up to five years’ worth of gifts ($14,000 per year, or $70,000 total) in one year to a qualified 529 college plan. Before you do so, however, evaluate how your gift will affect the need-based financial aid for which your student may otherwise be qualified. This is another great way to reduce the value of your estate so it will not trigger estate taxes when you pass it along to your heirs. Donating to charity – consider donating appreciated assets. If you intend to sell assets in order to make a donation to charity, it may be more effective to donate the asset itself. In other words, if you sell an appreciated asset, you will have to pay tax on it and then give the remainder to the charity. It is more efficient to simply give the stock or other item of value to the charity directly, so you can avoid paying the tax and also deduct the full value of the item from your taxes. In addition to the tax moves listed above, you can change to an all-in-one accounting solution to make next year’s tax-time much easier. If you’re heading into tax season with a mishmash of electronic records, spreadsheets and papers, now might be the time to consider switching to a comprehensive small business tax and accounting solution. Spending less time on invoicing and financial reporting frees up your time so you can focus on tasks that are revenue-generating, and helps you keep stress at a minimum. ZipBooks has easy expenses and P/L reporting. ZipBooks gives you a dashboard for easy viewing. ZipBooks bank integration means you can keep all your information in one place. ZipBooks can be accessed from any device, including smartphones and tablets, at any time and any place. Take advantage of any or all of these small business solutions, and see how much more smoothly you’ll roll through year end.